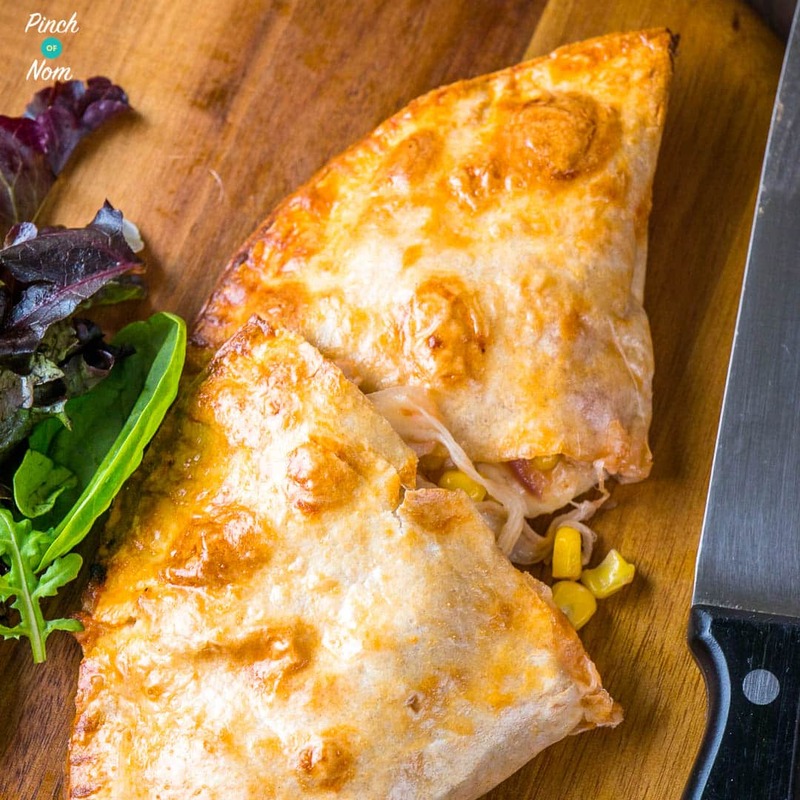 This Chicken and Sweetcorn Pizza Calzone is a great simple but mega tasty dinner whether you’re counting Syns, Points or Calories! Calzone is a type of pizza which is filled and the folded before cooking. Imagine oozy cheese, and pizza toppings all wrapped up in a crispy pizza base…yummmmm!! You can serve this Chicken and Sweetcorn Pizza Calzone with any side dish you fancy. 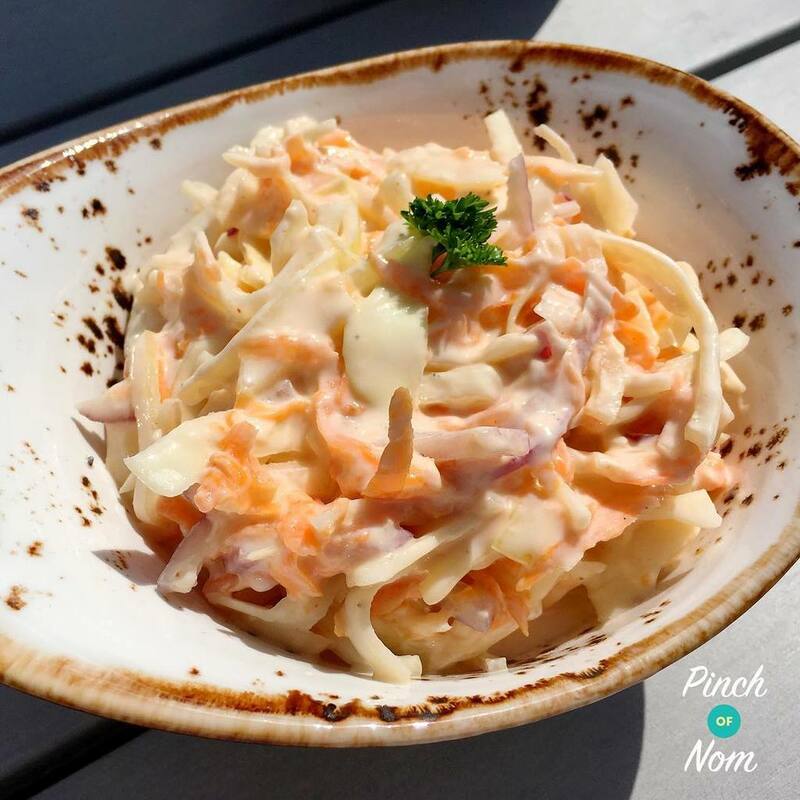 It would work really well with our Coleslaw! We really like to eat this Chicken and Sweetcorn Pizza Calzone with a refreshing Tomato, Basil and Mozzarella Salad – it’s a proper Italian feast! We’ve got loads of other pizza recipes too! If you’ve fallen for this tasty Chicken and Sweetcorn Pizza Calzone, why not try our Ham and Mushroom Pizza Calzone too?! Now that we have that out of the way, let’s talk more about this Chicken and Sweetcorn Pizza Calzone! 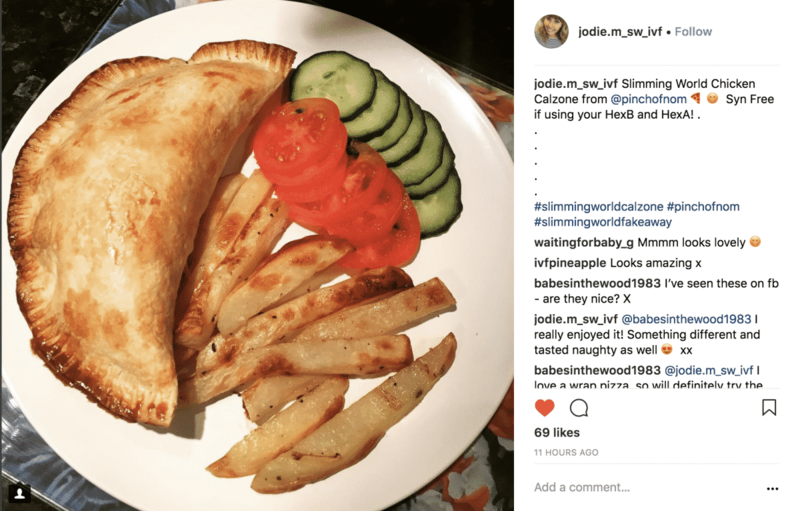 How many Syns is this Chicken and Sweetcorn Pizza Calzone? 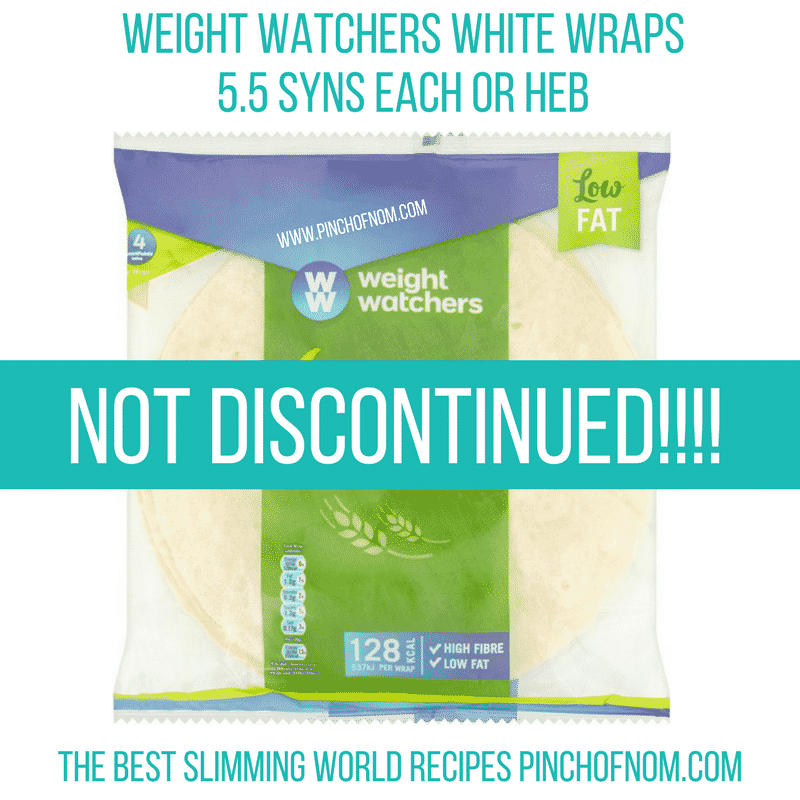 We used the Weight Watchers White Wraps to make these. We’ve tried many wraps that count as your HEB (Fitzgeralds, BFree), and the Weight Watchers ones are by far the best! They are the only wraps that we’ve found that crimp well, don’t split and actually stay stuck together. This Chicken and Sweetcorn Pizza Calzone is Syn free ONLY if you use the wrap as your Healthy Extra B, and the cheese as your one of your Healthy Extra A allowances. We used Reduced Fat Cheddar, and you get 40g for your HEA. 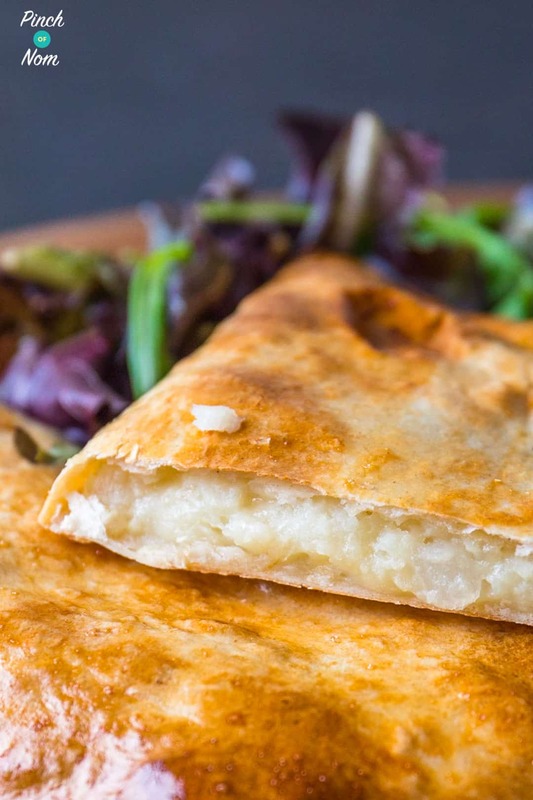 This Chicken and Sweetcorn Pizza Calzone recipe makes 1 calzone. If you don’t want to use your Healthy Extra allowances, this Chicken and Sweetcorn Pizza Calzone will be 12 Syns. 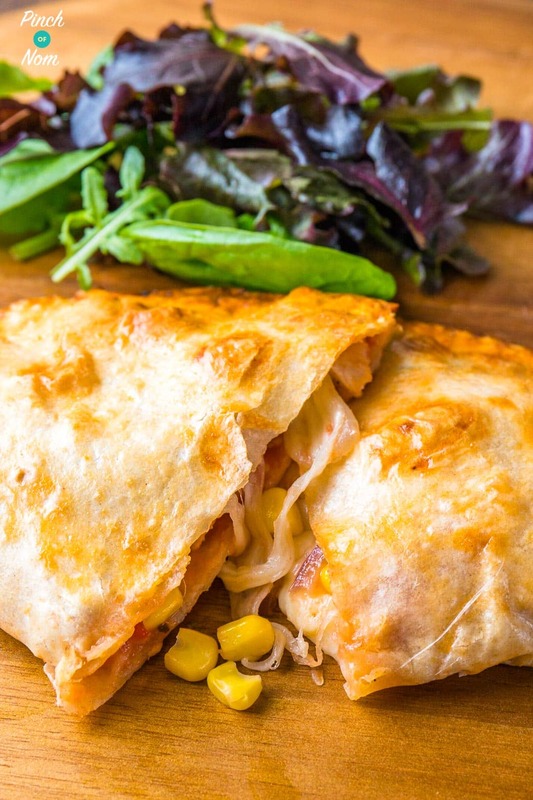 How Weight Watchers friendly is this Chicken and Sweetcorn Pizza Calzone recipe? A calzone pizza from a restaurant will set you back about 32 points…aaarghhhh!! Our version comes in at 8 Smart Points per calzone, which is a quarter of the point value of a restaurant version! How many Calories are in this Chicken and Sweetcorn Pizza Calzone? If you’re looking for a lower calorie pizza treat then look no further! 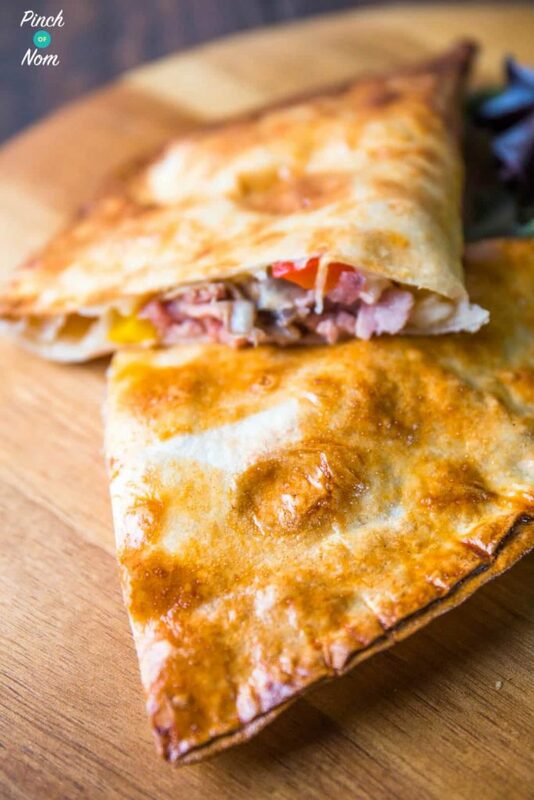 Our Chicken and Sweetcorn Pizza Calzone is less than 500 calories! 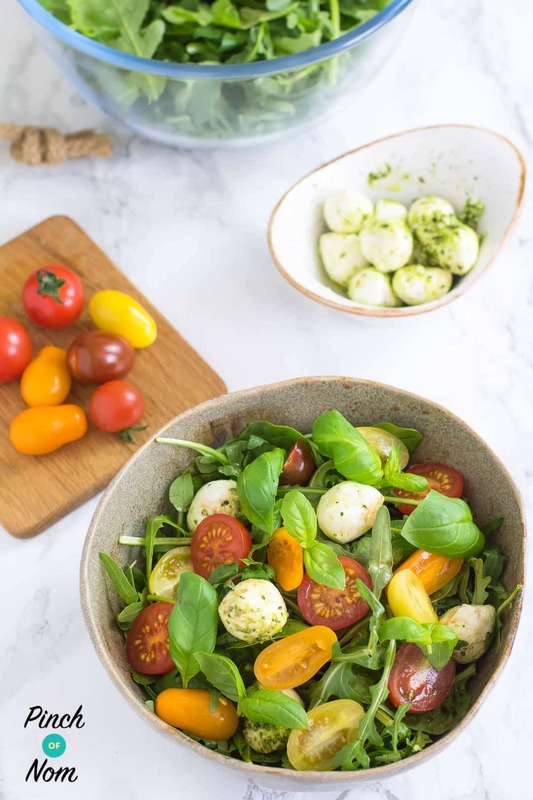 Why not serve it with a crisp salad? What do I need to make this Chicken and Sweetcorn Pizza Calzone? You’ll need a couple of baking essentials to make this recipe – but don’t panic, there’s no fancy gadgets required! A good baking tray is also useful – you can get one in most supermarkets, or over on Amazon. You’ll also need a pastry brush! 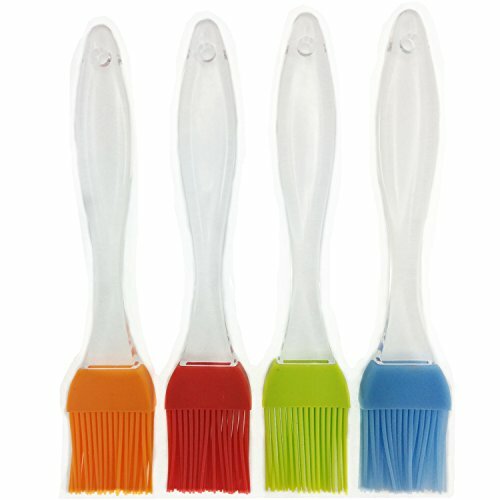 We like the silicone ones best…no one likes finding a loos brush bristle in their food, and there’s no risk of that with a silicone one! 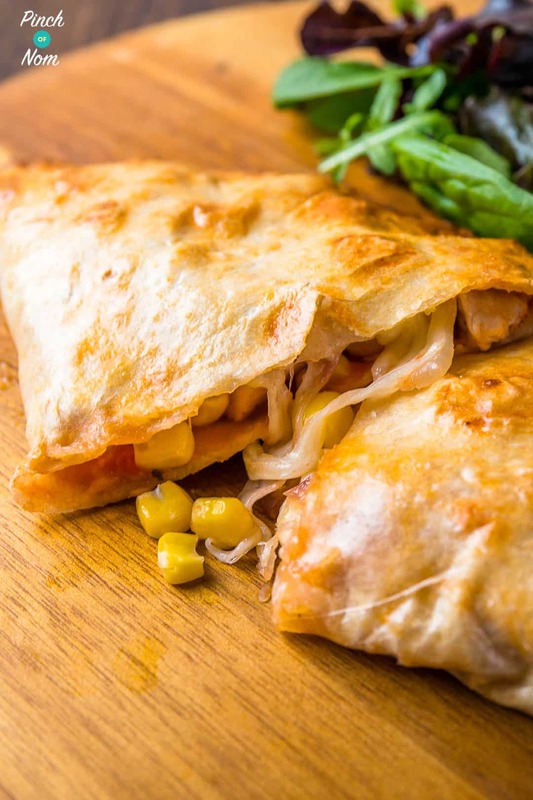 Some of you love this Chicken And Sweetcorn Pizza Calzone recipe! One of our Instagram followers @jodie.m_sw_ivf made this dish and loved it! Want to see how easy this Chicken and Sweetcorn Pizza Calzone is to make? Watch the video! If you love pizza and pasties (and let’s face it, who doesn’t?!) 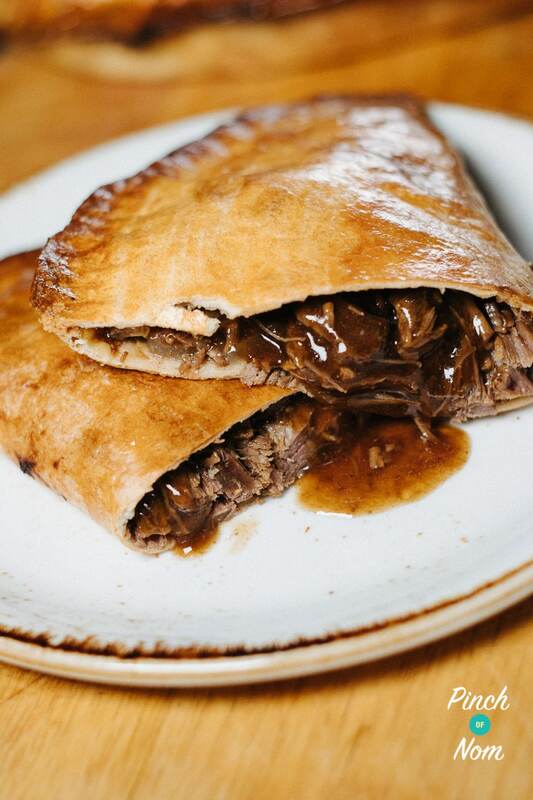 then you should try our Beef & Onion Pasties!! 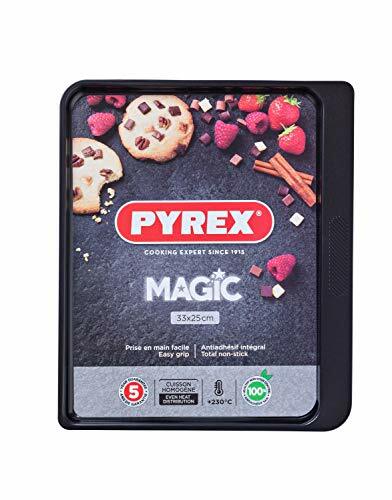 All the flavour of the bakery favourite, but without the Syns, Calories and Points! How do I make these Chicken and Sweetcorn Pizza Calzone? 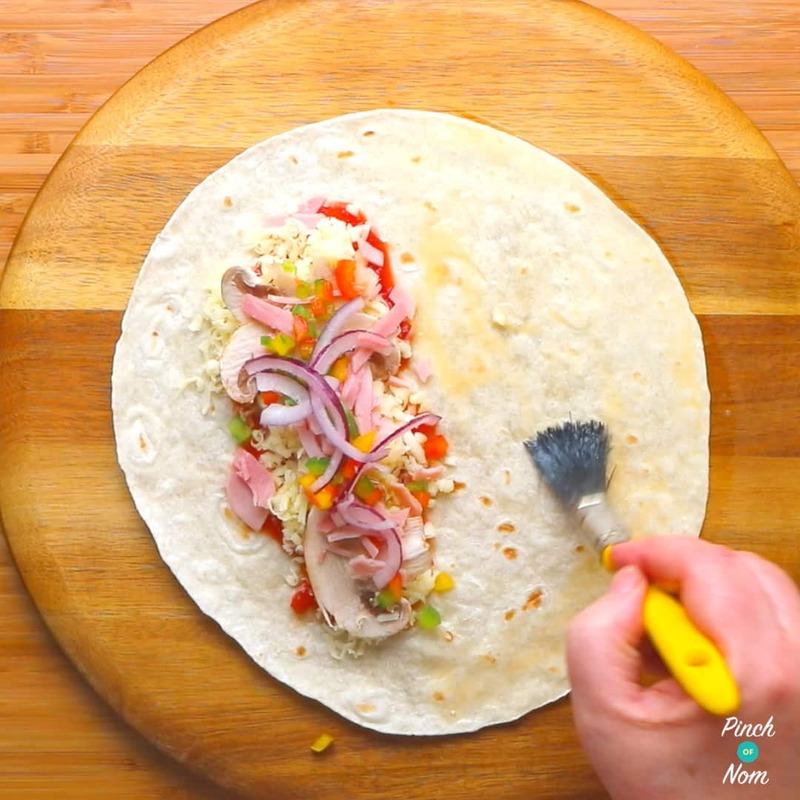 Brush the exposed side of the wrap and all around the edges with beaten egg. 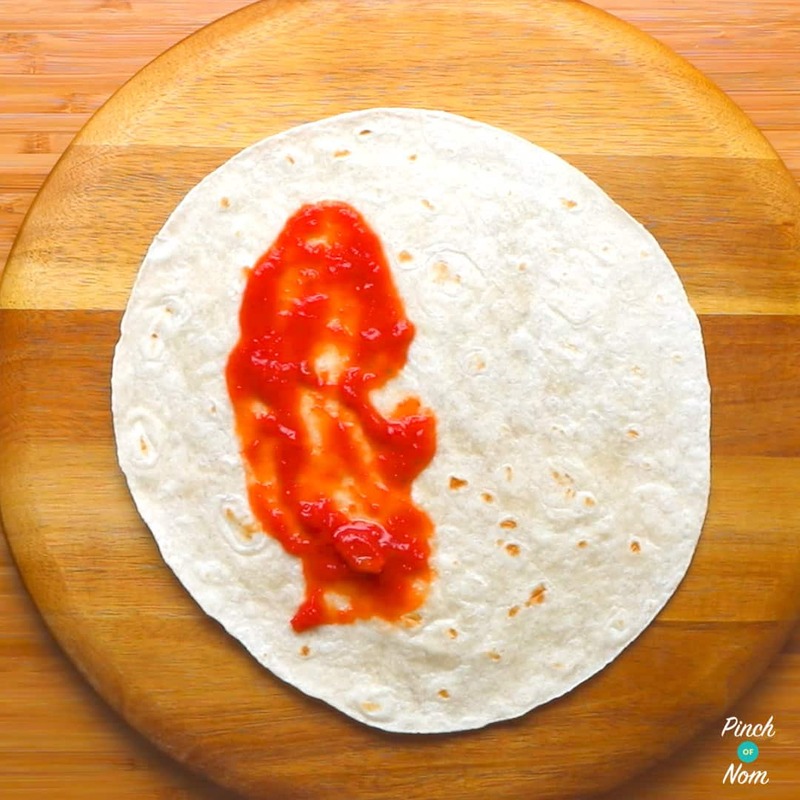 Fold the wrap in half and press down around the edge. Crimp the edges using the back of a fork, then place on a baking tray sprayed with Low Calorie Cooking Spray. Brush the outside of the pasty with beaten egg. Bake at 200°C for 10 to 15 minutes or until golden brown. Can I freeze these Chicken and Sweetcorn Pizza Calzone? 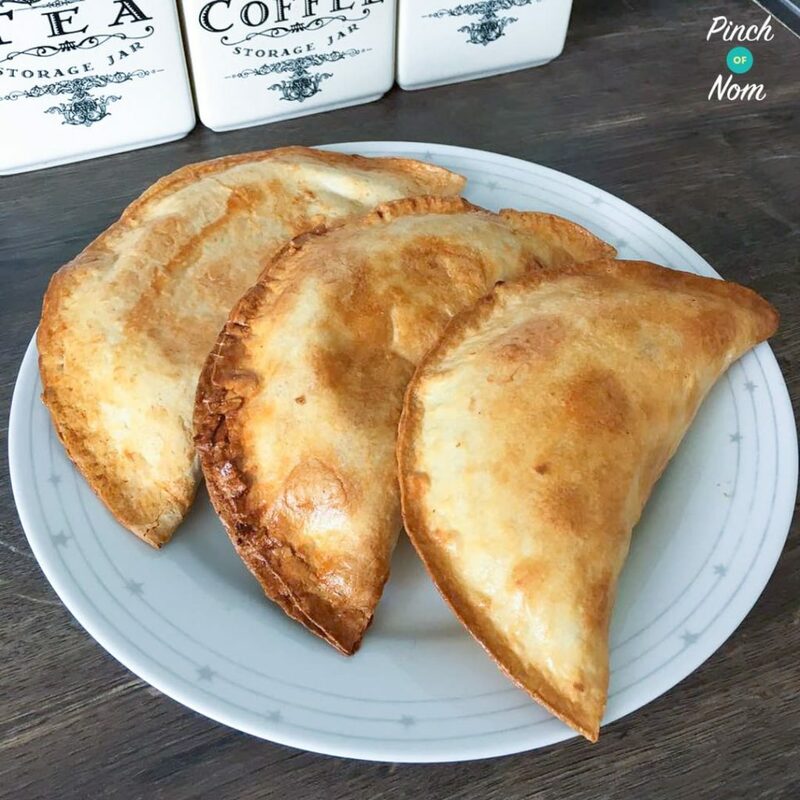 We’ve not tried freezing them, but lots of people on our Facebook group have frozen our pasties, so there’s no reason why these Chicken and Sweetcorn Pizza Calzone wouldn’t freeze well either. Just defrost them, then pop them in the microwave to reheat, or you could reheat them in the oven if you prefer, but be careful not to burn them. 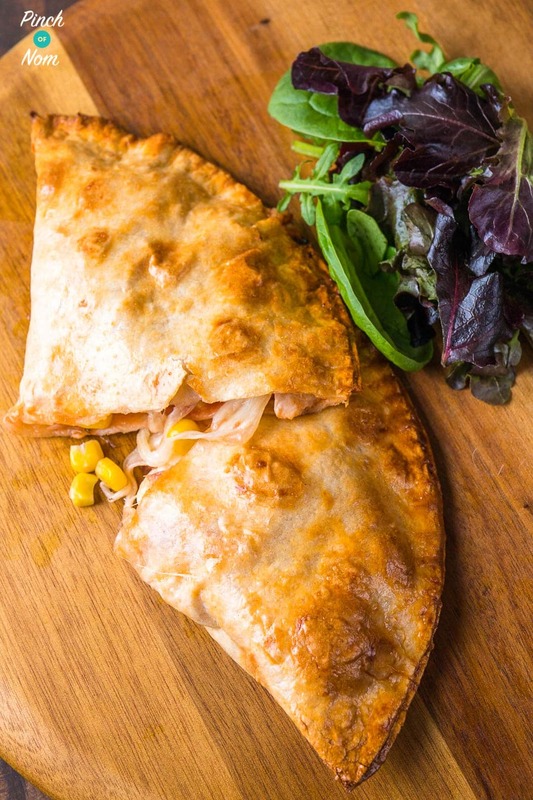 Like the look of these Chicken & Sweetcorn Pizza Calzone? Why not try one of our others? Come join our Facebook group! We have over 715,000 members, who want to help you! You wouldn’t want to miss out on the fun would you? Flavour etc was fine, but absolutely impossible to ‘crimp’ wraps – whatever make you use. So the filling spilled out, and the edges became burnt and inedible. Shame, recipe had real promise! And yes, I did try more than one brand of wrap, and yes, I did try with less filling-made no difference – you just can’t crimp wraps. Please can you tell me how many syns this would be using a sainsburys be good to yourself wrap? I could not find the weight watcher ones in sainsburys yesterday. Could you use tomato puree instead for the base? You can use tomato puree, but as it’s a concentrated tomato paste you may not need quite so much. Quick question, could I use weight watchers wraps that have quinoa in them? Do they still count as a Heb? I’m afraid not! There are only two wraps that are listed as an HEB choice, the WW Low Fat White Wraps and the BFree GF wraps. On the outside, do you egg wash both sides of this or just the top (and inside bits of course)? I found it easier to egg wash the top, then turn over half way through and egg wash the other side then. (Otherwise it may stick to the paper on the tray!) Hope that helps! Hi 🙂 are these OK to eat cold? I drive for my job and don’t have access to a microwave and really struggle for lunches!